As we continue to make this big transition from "Daisy Baby & Kids" to "Everly & Monet," people want to know: "Can we still run in for a Quick Gift?" Uh yeah!! 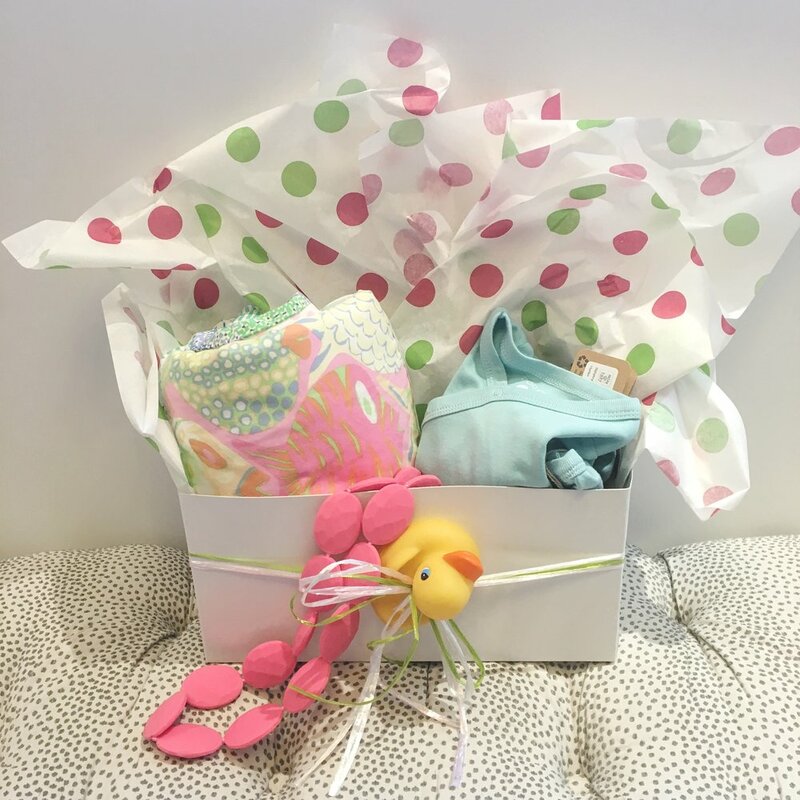 I love putting together the cutest open gift boxes. The more paper sticking out the top & lovie's running over, the BETTER. We listened to out clients & we are stocking our all time best sellers. We love to mix & match based on the price, who it is for & what theme we are building around. Here are just a few of samples of some of our fav's.